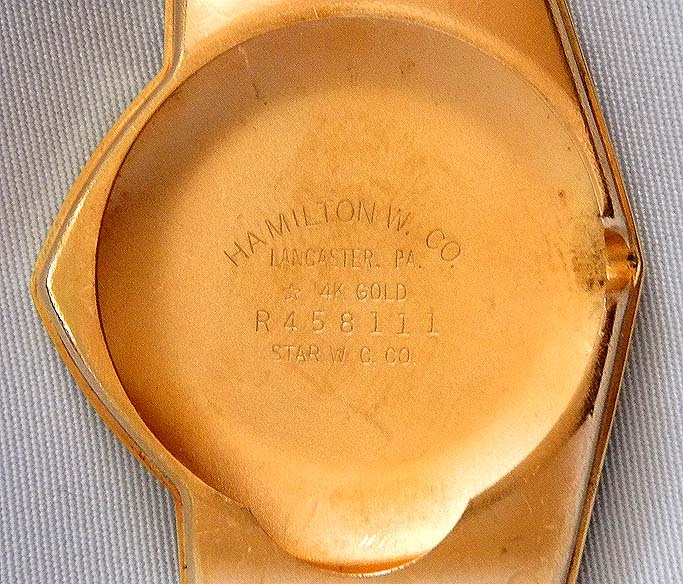 Fine and very rare Hamilton 14K solid gold electric Pacer vintage wrist watch circa 1995. Eccentric futuristic solid 14K yellow gold (unlike the two-tone later gold filled examples) Original black dial with applied gold markers and gold hands. 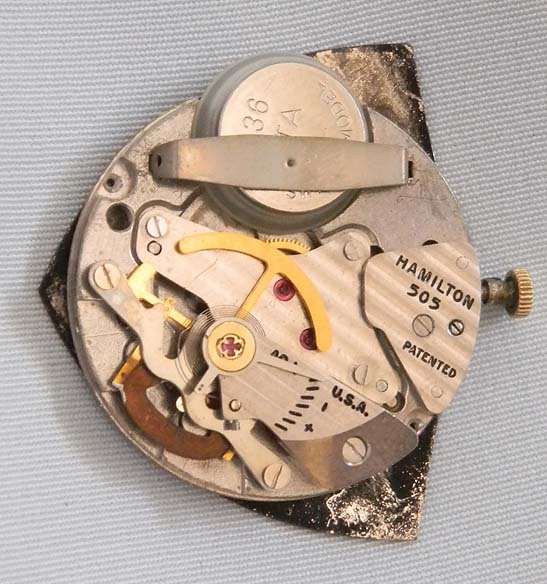 Cal 505 movement. 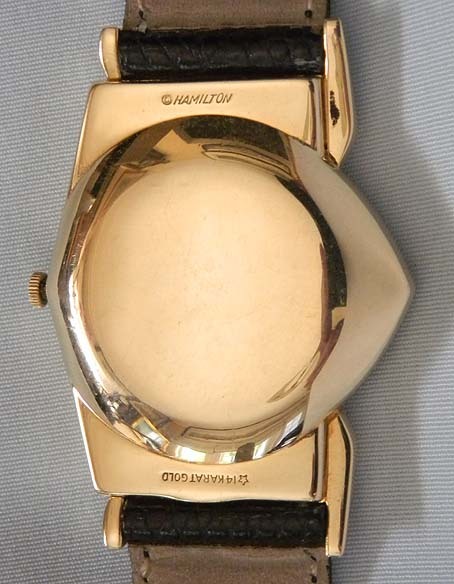 The 14K solid yellow gold Pacer, sometimes called the "Ventura 2," is the rarest of all Hamilton electrics. 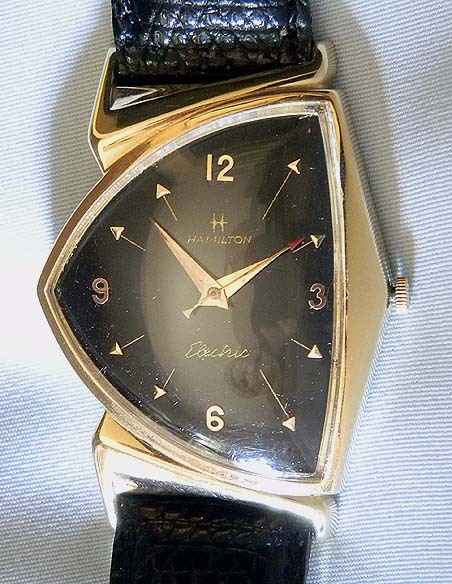 These watches were produced for large corporations and were never sold to the public. The first series with cal. 500 movements of 400 was made for GE. The second series of 100 with the improved cal. 505 movement was made for other big corporations. These were used as gifts and almost all of them had engraved presentations. 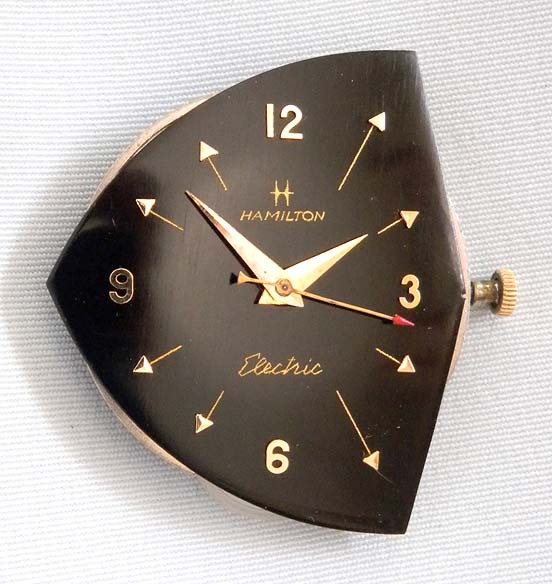 Early Hamilton electric watches are somewhat delicate. They can be temperamental and are not recommended for daily use.